Champion Petfoods is Canada’s award-­winning pet food maker. Located in the heart of Alberta’s prairies, Champion Petfoods got their start back in 1985 and has achieved trust with consumers through their authentic products. Orijen is made by Champion Petfoods and is produced using only the freshest regional ingredients. Their foods are perfectly matched to the digestive systems of both dogs and cats. Orijen brings peace of mind to owners by promoting peak health of their pets in addition to containing natural flavors that their pets crave. Active dogs and cats require a meat-­‐based diet, rich in animal protein and fat.Champion Petfoods uses free-­‐run poultry,wild-­‐caughtfish, and free-­‐range red meats for Orijen to provide pets with the best nourishment. Coupled withthese fresh meats, Orijen also containsfruitsand vegetables, health-­‐boosting herbs, and balanced mineral content for the healthiest meal pets can get. Furthermore, Orijen is grain-­free for more controlled blood sugar levels and excludes ineffective nutrients from plant oils as compared to other brands. Champion Petfoods closely works with local farmers, fishermen, food processing innovators, and the scientific community to produce the highest quality products. Arriving fresh from the region each day, the meat is never frozen and never exposed to heat or chemicals. The harvested fruits and vegetables are ripe with vitamins, enzymes, and antioxidants. Lastly, the natural herbs help strengthen organs and tissues while also supporting the digestion process of pets. All these fresh ingredients are processed under the Canadian Food Inspection Agency’s highest food safety standard, insuring peak health for pets. Even the ingredient suppliers are approved by the United States Department of Agriculture. Champion Petfoods is proud to stand apart as an independent an authentic pet food manufacturer, using only the freshest ingredients and no preservatives. They focus on being truthful, responsible, and innovative. Their prized products are never produced or packaged in any other facility.The minds behind Champion Petfoods always keep their personal cherished pets in consideration when making Orijen. Orijen is proud to now offer single-­source dog treats! Just like all of their foods, these treats are biologically appropriate, made with fresh regional ingredients, 100% pure meat, grain-­‐free, an amazing 5-­7 calories per treat and they come in 5 great flavors. With flavors like Alberta Wild Boar, Brome Lake Duck, Black Angus Beef, Free Range Bison and Ranch Raised Lamb how could any dog resist! They've also created 3 formula-­matched treats to accompany Orijen dog foods. These come in Original, Regional Red and Tundra flavor. Chewy.com is proud to carry the entire line of Orijen products! Chewy sent the Chi's a bag of Orijen's Original Dog Treats this month which are made from cage free chicken, turkey, eggs, and wild-caught flounder. Orijen offers an amazing line of pet foods for both dogs and cats, and I was thrilled to be able to try out this bag of treats with Venus and Ocean. Our family not only has a soft spot in our hearts for the great products and trustworthiness that Orijen offers, but both Venus and Ocean are particularly partial to freeze dried treats. The size of the treats are perfect. I've never seen Ocean devour treats like she did these, she's just so picky! She literally grab as many as she could in her mouth from my hand and ran off. Venus gives them four paws up! You can purchase these treats, and other products from Orijen on Chewy.com. You can connect with Chewy on Facebook, Twitter, Pinterest, and Google Plus; as well as Orijen on Facebook, Twitter and YouTube. Refresh and transform your face with LAC’s luxurious collagen infused cloth mask, rich with nano-sized collagen molecules that deliver instant skin rejuvenation and Red Carpet skin radiance. This mask is specifically formulated to target sagging, dehydrated, and dull-looking skin. The proprietary blend of hydrolyzed collagen, botanical squalene, hyaluronic acid and anti-oxidants, penetrates deep into the skin to tone, hydrate, and brighten the complexion in just 15 minutes. So many treatments and systems rely on a topical or invasive program to reintroduce collagen into the skin. By nature, collagen is too large to be absorbed through the pores of your skin. LAC’s patented process breaks down the collagen molecule, not only allowing the molecule to be absorbed, but also raising the absorption rate because of an optimum size. This formulation process is used to provide an exquisite balance of absorption and the placement of collagen to where it is needed most in and on the skin. 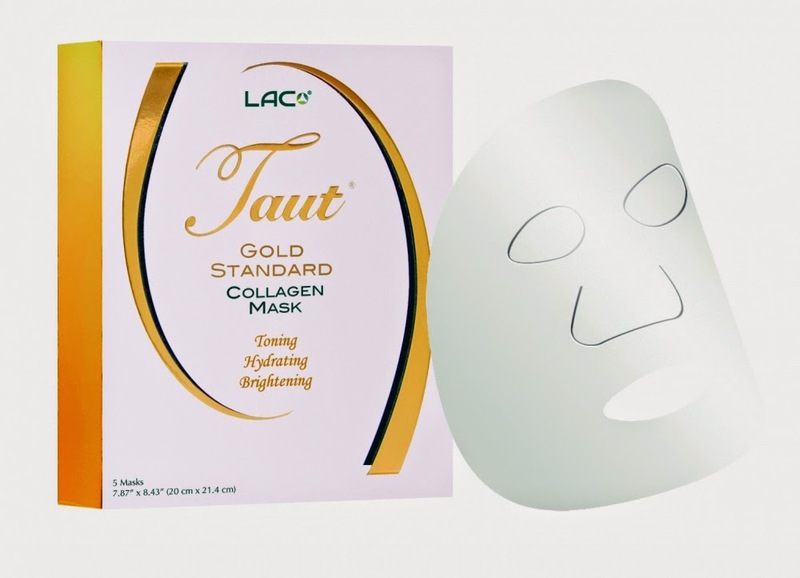 The LAC Taut Premium Collagen Mask is very soft. It felt amazing when I applied it to my face, and it was very soothing when I was waiting through the 15 minute application. When I removed the mask, I did notice my skin was softer, and more vibrant. It immediately filled in and lines around my mouth and forehead, which was quite impressive. I enjoyed the mask, but the results are not long lasting. To ensure long lasting results, it is recommended to use this mask 2-3 times each week. 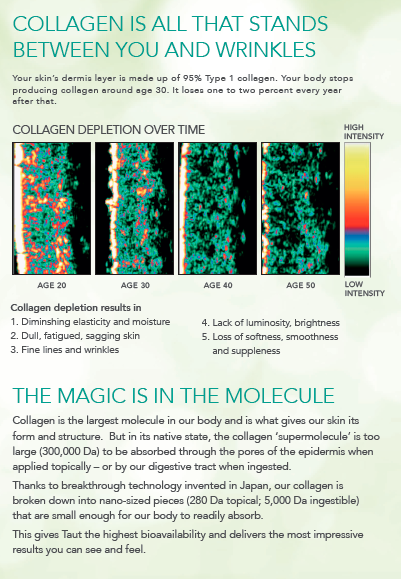 You can find more information as well as make a purchase at Taut Collagen. Looking to treat yourself and pamper your face? You've found the right place...err.. product. Montagne Jeunesse masques are made with only natural ingredients to give the very best nutrients and care to your sensitive face. These fun, easy-to-use masques are bursting with delicious natural ingredients to cleanse, purify, refresh, and soothe your skin and keep it looking fabulous! They are organic, vegan and cruelty-free, they will make you look great and you'll feel good about using them! Montagne Jeunesse sent me five masks to try out, and they were all divine! From the packaging, and the names, to the natural ingredients that sounded scrumptious enough to eat! The masks were easy to apply, and needed to be left on anywhere from 5-20 minutes (depending on the mask and how long you wanted to relax). This was perfect for some mama-time in the bathtub! Nothing beats a relaxing bubble bath with a delicious smelling mask on your face. I applied each mask with a flat foundation brush for easy and even application. The clay masks really tighten when they dry, but it was so worth it! My skin felt so amazing afterwards! It was soft, and my pores were definitely smaller. I loved these Montagne Jennesse facial masks so much that I've already purchased more and started stock piling them in my bathroom. They are my new "must have" facial item! 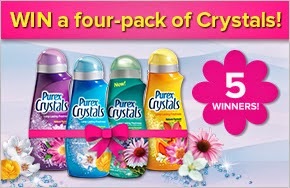 You can find them at some drugstores as well as online. Baby and the Chi's is not responsible for prize delivery. I love to cook. I hate doing dishes, but I love to cook. My biggest problem, however, is coming up with menu options for my family. Meals are easy when it's just yourself, but when you're cooking for a family of three (or more) you need to plan, and I'm not so savvy in the meal planning department. Thankfully for me, there's an option available called eMeals, that takes my information and options and gives me all that info in the snap of a finger, instead of me having to rack my brain to stew something up. 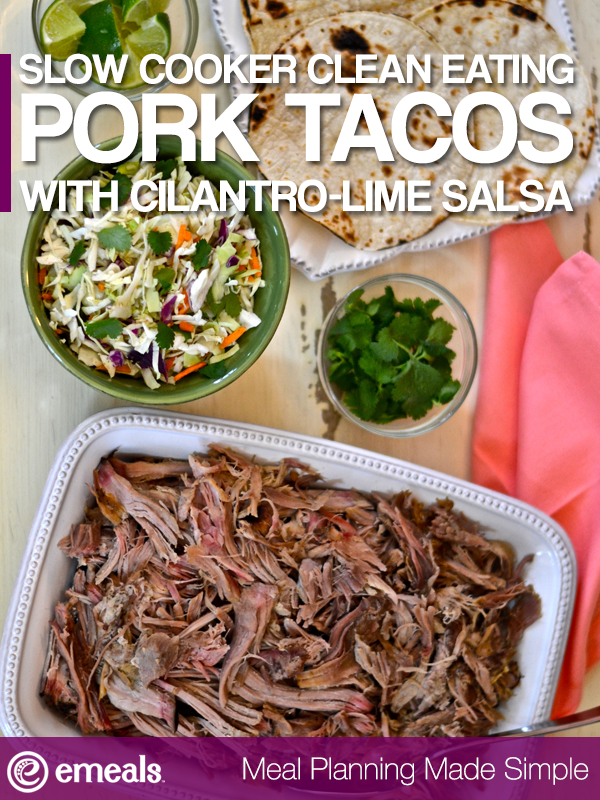 Get the Pork Tacos recipe here. When signing up, aside from personal information, you'll be asked about your family size (whether it's just you, you + one, or a family setting), if you have any meal requirements (low-carb, gluten-free, low-fat, or even classic), and where you prefer to shop (or just receive a generalized list). 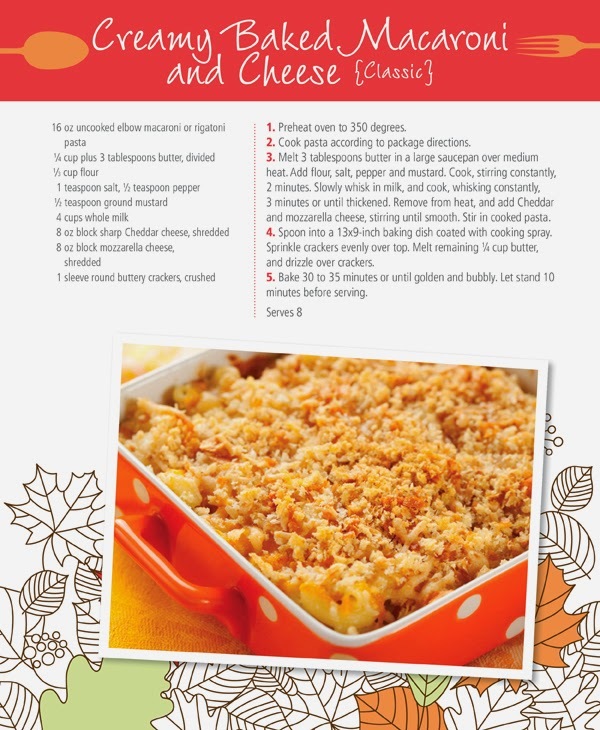 Our family chose to go with a WalMart Classic Family Plan to give this service a try, and this is a sampling of some of the recipes we received, right in our email inbox! 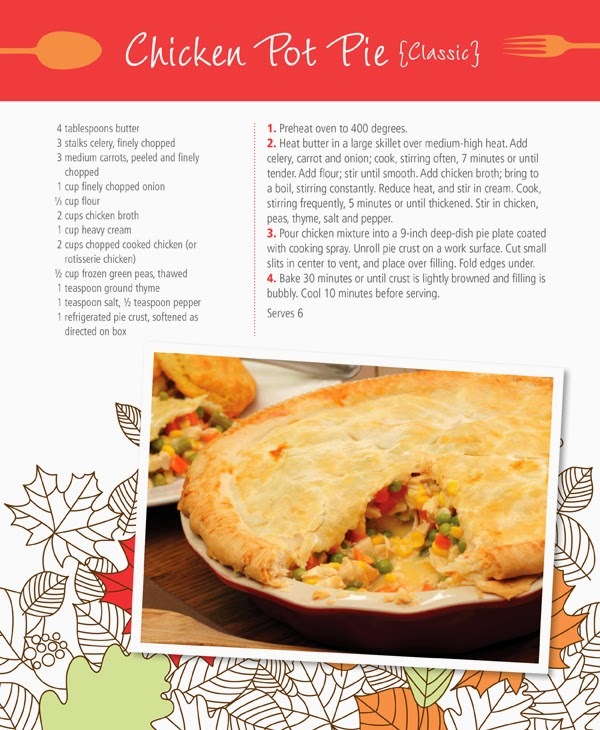 So far, every recipe we've received from eMeals has been a hit with everyone! The recipes are easy to follow, and easy to alter should you be out of something you thought you had, or choose to use a similar product instead. I really do love the store specific ingredients, in which eMeals only makes meals using ingredients you can find at the store you specified upon signup (this can be changed at any time, as well). Plans run for just $58 for a full 12 months ($5 per month), but you can also signup three months at a time for $30 ($10 per month), or for six months at a time for $48 ($8 per month). All plans include a 14-day money back guarantee, and includes the ability to switch to another plan at any time. 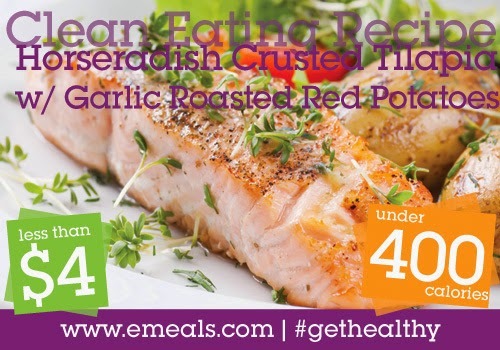 You can find more info on eMeals website. You can also follow them on Facebook, Twitter, and Pinterest. Disclaimer: Baby and the Chi's blog received the product(s) mentioned in this post for the purpose of review and evaluation. No monetary compensation was received. All opinions expressed in this post are 100% my own. To Sign Up For Preschool, or Not Sign Up: What A Difficult Question! Preschool seems like one of those things that all kids do, it's part of their education, right? My initial answer to this question for Bug, was kinda on the line of "duh!" However I then remembered that I, myself, never went to preschool. Bug turned three years old this winter, and with his age, grew a burning desire for him to start school. Until then he was extremely fascinated with buses, and felt compelled to ask every other kid he saw if he could go to school with them, but he didn't outright start asking to go to school until a few months ago. I assumed it would pass and he would enjoy his time at home again after the bus was out of site, but this wasn't the case. He would throw fits, crying and sobbing because he needed to go to school! So J and I sat down and seriously discussed Bug starting school this Fall. The biggest question we immediately asked each other was, "do you really think he's ready?" Bug just turned three, which means when school starts in September, he'll still be three. Isn't that a little young to start preschool? Apparently, it is not. Preschool in our area is available for children ages three to five. This is amazing, except for the price of sending our son to preschool. I thought a public education was supposed to be free? I guess that doesn't apply to "preschool" where your children are supposed to prepare for "real" school. So now that we know we have to pay to send him to preschool, where do we go from here? How do we know he's ready and will get a good use of the preschool program? Can he count? Yes, he can count to 15 if he feels like it! Which isn't very often. Can he sing the alphabet? No. He realized that it's to the tune of "Twinkle Twinkle Little Star" and that's were his mind immediately goes. Does he get along with other children? If "getting along with" is code for "stealing toys from" then yes. Although, if he makes another kid cry, he's good at giving hugs. However, if you've ever watched the news, you are probably thinking the same thing as me, in that he'll hug the wrong person and his parents will sue my three year old for sexually harassing their three year old. So I have to teach him not to hug people. Does he listen, or follow instruction? *uhm* Maybe this won't really be a requirement yet? So, I'm stuck. On one hand, I feel like I'm crushing his dreams by not sending him to school soon, but also feel he needs more time to really understand why he's going. On the other hand, I really think that there has to be other kids at his level, and preschool is something that would really benefit him and get him up to speed for Kindergarten and on to grade school. When do you think is a good age for a child to start preschool? I received my first NewBeauty TestTube in the mail today! I am super excited to try all the products in the tube, and would like to share what I received with you. Each tube comes with a "Beauty To Go" bag stuffed with samples, however mine was missing, and NewBeauty said I'll have to wait 3 weeks to receive one. That contents will be added at a later date. Total tube value: $66.50; cost of tube: $38.98. You can find more info about NewBeauty TestTube on their website.